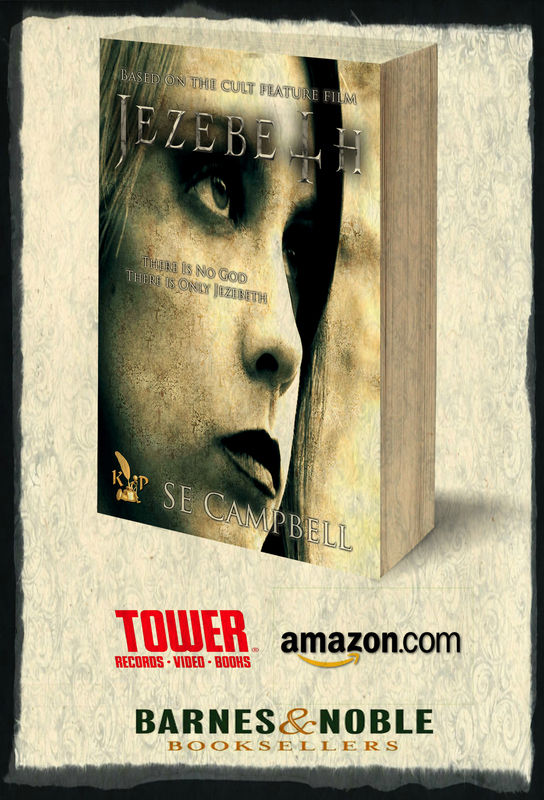 We are pleased to announce that the new novel “Jezebeth: The Beginning” from best selling author SE Campbell is now available worldwide. This exciting new novel by Stephanie Elisabeth Campbell is based on the motion picture Jezebeth, and characters created by Damien Dante. Stephanie Elisabeth Campbell deviated from the story line so the book is very different from the movie. The novel takes us back to the beginning and brings us into the year 1550. 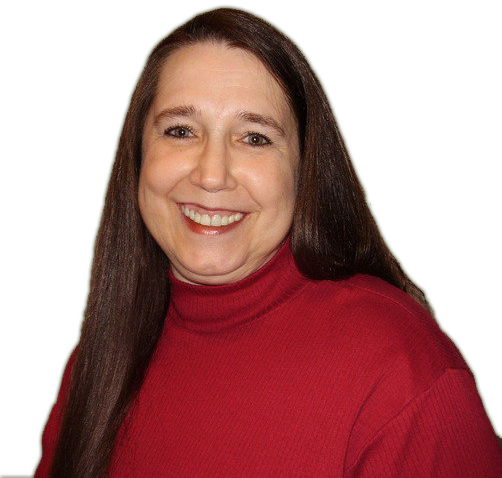 Stephanie is a published best selling novelist from North Ogden, Utah. Her interests include history, traveling, classic movies and biographies. Her first novel was published at age 17. She is the author of many novels including: Specimen X, Poachers, Dragon Night, Tasting Silver, Keeping Freedom, Late but not Never, Cased Closed, Icy Tales of Draga, E is for Eternity and P.S. I Killed My Mother, all of which are being published or have been published by traditional houses. The Jezebeth film franchise is owned by Partners Damien Dante and Jeffrey A. Swanson. Their original cult classic vampire film Jezebeth was Written, Directed and Produced by Damien Dante and Co Produced by Jeffrey A. Swanson and is now available worldwide on Blu-Ray, as well as iTunes Movies, Amazon Prime and M-GO via SGL Entertainment, Indie Rights Distribution and R-Squared Films. “Mary?” She shook the girl’s shoulder. “Mary?” With the same twisted expression on her face, Mary suddenly wrenched toward her and seized Annabelle by the shoulders. Her sister’s face loomed close. Her trembling fingers dripped with sweat. “He’s come to drag me down,” Mary said. “He’s come to drag me to Hell” Annabelle’s heart thundered in panic. “What? Who?” Suddenly, her sister increased the pressure on Annabelle’s hand and buried her sharp, dagger-like fingers into her scalp. Splitting pain filled her skull and she gasped in agony. She tried to wrench backward, but Mary retained a firm grasp on her hair. Her sister’s whole body shook and her eyes were filled with madness. If she didn’t know better, she could swear Hellfire was in her sister’s eyes. “Jonah has come to drag me down.” Mary spoke quietly at first, then her voice rose until she screamed into her face. “The Devil has come. Save me, Annabelle. The Devil is coming for me. Jezebeth: The Beginning, written by SE Campbell, cover art by Jeffrey A. Swanson, published by Keith Publications, available on paperback and e-book at Barnes and Noble, Amazon, Tower Records and Books plus other locations worldwide. 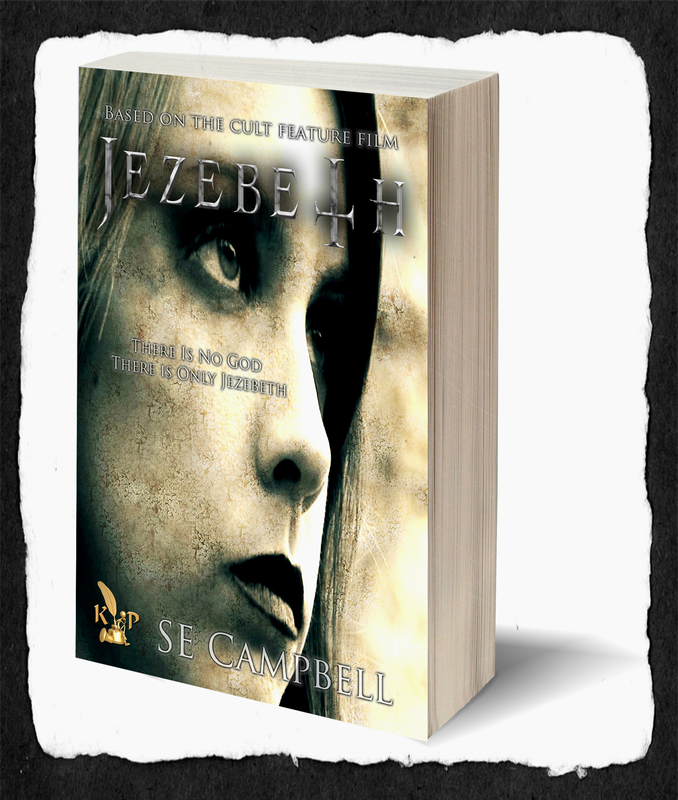 We are pleased to announce that best selling author SE Campbell has landed a huge publishing deal for her newly completed Novel “Jezebeth” which is based on the cult classic vampire horror film. Stephanie Elisabeth Campbell was offered the deal from none other than Mary Keith Owner/Publisher of Keith Publications LLC. This is huge deal, as Keith Publications have released a slew of very successful books over the years and is very well respected in the business. Stephanie Elisabeth Campbell will also write novels based on Jezebeth 2 Hour of the Gun, and Jezebeth 3 El Diablo, plus any and all Jezebeth films to come. 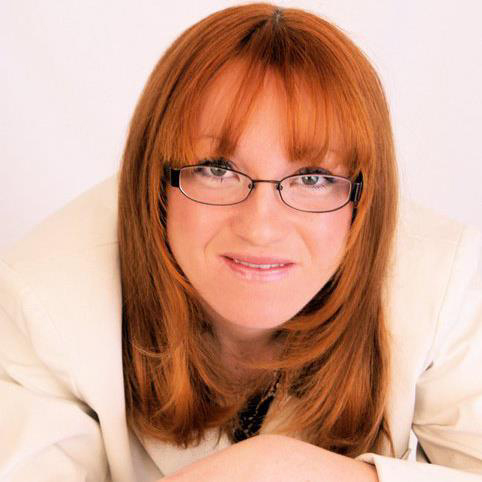 Stephanie is a published best selling novelist from North Ogden, Utah. Her interests include history, traveling, classic movies and biographies. Her first novel was published at age 17. She is the author of many novels including: Visible Scars, Specimen X, Poachers, Dragon Night, Tasting Silver, Keeping Freedom, Late but not Never, Cased Closed, Icy Tales of Draga, E is for Eternity and P.S. I Killed My Mother, all of which are being published or have been published by traditional houses. The Jezebeth film franchise is owned by Partners Damien Dante and Jeffrey A. Swanson. Their original cult classic vampire horror film Jezebeth was Written, Directed and Produced by Damien Dante and Co Produced by Jeffrey A. Swanson and is now available worldwide on Blu-Ray, as well as iTunes Movies, Amazon Prime, Big Star TV and other media via SGL Entertainment and R-Squared Films. Look for Jezebeth the Novel to be Available Everywhere as a Print Novel and E-Book in August/ September 2013.